Flash reflects the heritage of his renowned sire, Jolimont Attitude, one of the most successful sires ever to stand in New Zealand. Attitude made a name for himself by siring show winning cria, first in Australia, then in New Zealand and at 10 years of age was exported to Europe. Attitude himself was sired by another impact sire, Jolimont Sculptor. 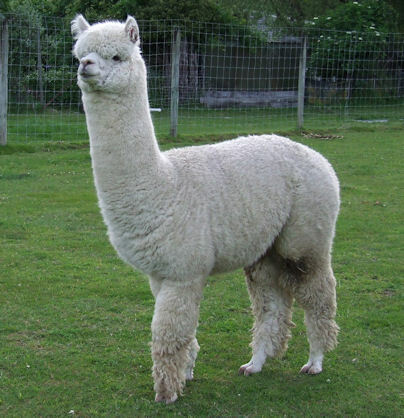 and these genetics, plus input from his maternal grandsire, Jolimont Conquistador, another outstanding alpaca male, assure us of quality offspring from Flash. To view Flash’s registered pedigree, click here.